SOUTHFIELD, MICHIGAN (Bloomberg) -- Chrysler Group, the U.S. automaker operated by Fiat S.p.A., reported a $199 million fourth-quarter net loss that was its largest of the year as the company shipped fewer vehicles while introducing new models. The loss widened from the third-quarter's $84 million deficit, Chrysler said today in a statement, and compares with a $2.69 billion loss a year earlier that included a $2.05 billion charge related to retiree health care. The average estimate of three analysts surveyed by Bloomberg was for a fourth-quarter loss of $99 million. CEO Sergio Marchionne introduced 11 redesigned or refreshed vehicles in the fourth quarter, including the Dodge Durango and Chrysler 200. The company shipped 382,000 cars and trucks in the last three months of the year, down 6 percent from the third quarter. Modified full-year operating profit of $763 million exceeded Chrysler's revised forecast of about $700 million. “It can safely be said that what Chrysler delivered last year, on both the product and financial fronts, surpassed many expectations,” Marchionne, who also heads Fiat, said in the statement. Modified operating profit, a term Chrysler introduced this quarter that excludes items such as taxes, interest and pension- related costs, was $198 million in the fourth quarter. Revenue fell 2.3 percent from the third quarter to $10.8 billion. The company said today that 2011 net revenue will be greater $55 billion and modified operating profit will exceed than $2 billion. Chrysler will earn $200 million to $500 million in net income and generate more than $1 billion in free cash flow, the company said. Chrysler said in a five-year plan released in November 2009 that operating profit this year would be $1.6 billion to $2.4 billion on sales of $52.5 billion. Chrysler's global sales rose to 1.5 million in 2010, the company said. Earlier this month, Marchionne said Chrysler had lowered its breakeven point to 1.5 million from its previously stated breakeven point of 1.65 million. Chrysler's U.S. growth in the past year was in part fueled by sales to so-called fleet customers -- corporate, government and rental-car company buyers. Fleet sales in the fourth quarter ended in line with the industry average, Fred Diaz, head of Chrysler sales, said in an interview this month. “As the year progressed, our percentage of fleet sales dwindled significantly,” he said, while declining to give a specific number. He said Chrysler's goal is to be at or below the industry average of fleet sales. Chrysler's fleet sales made up 35 percent of its deliveries during the fourth quarter, down from 46 percent a year earlier, according to TrueCar.com, a Santa Monica, California-based website that tracks auto industry sales. During the third quarter, fleet sales were 36 percent. The industry average was 20 percent last year, according to TrueCar. “As they pull back on fleet, it's going to look like overall sales are decreasing,” Jeremy Anwyl, CEO of Edmunds.com, said in an interview. Chrysler's average spending on customer discounts fell to $3,210 during the past year from $4,131 in the previous year, according to Santa Monica-based Edmunds. Marchionne has been working to pull back incentive spending since taking over the company in 2009. 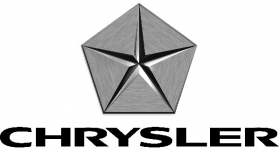 Fiat gained a 20 percent ownership stake in Chrysler when the U.S. automaker emerged from bankruptcy in June 2009. The Italian company increased its ownership to 25 percent this month after Chrysler met one of three performance milestones. Marchionne has said he wants to meet the additional two milestones to increase the stake by an additional 10 percentage points this year. He has also said Fiat has the financial liquidity available to boost the stake by an additional 16 percent and hopes to do so in 2011.